A plaque commemorates the completion of the Lake Bellfied Rehabilitation Project in 2003. 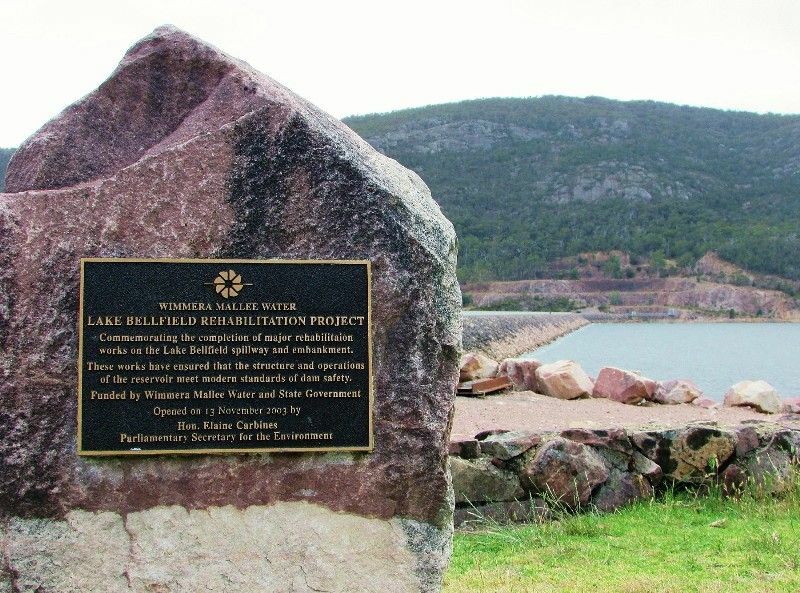 In 2001, as the result of dam safety investigations carried out by Risk Assessment URS Australia, Bellfield storage structure was found to be inadequate to meet current standards. 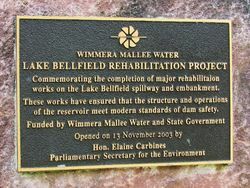 The Lake Bellfield rehabilitation project was started in May 2002 and completed in 12 months. The storage now complies with National and International standards in the control of freak flood events. 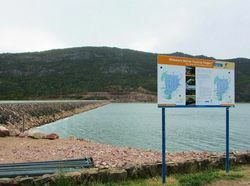 works on the Lake Bellfield spillway and embankment. These works have ensured that the structure and operations of the reservoir meet the modern standards of dam safety.